John Naber graduated as a scholar athlete from Woodside High School in 1973. He served as Student Body President and captained the swim team. He attended University of Southern California and in 1976, he represented the US at the Olympics in Montreal winning four gold medals and one silver medal. John has been connected to the Olympics as a swimmer, as a broadcaster, and when the US hosted the games in summer of 1984 in Los Angeles, he was an Olympic flag bearer. He is in the Olympics Hall of Fame, too, where he was elected captain of the top 100 US Golden Olympians. He has distinguished himself as a contributor beyond his athleticism – as a leader with integrity! Jim Luttrell graduated as a scholar and a top hurdler from Sequoia High School. He stayed closed to home and attended Stanford University where he ran hurdles and competed in NCAA finals and US Nationals. Again, he stayed close to home to coach and teach at Carlmont and San Carlos High. When San Carlos High closed, he became a Wildcat in 1981. In Jim’s 16 years at Woodside High School, he served as Physical Education department chair, athletic director, and track coach. He was awarded CCS Honor Coach of the year and honored as Woodside’s teacher of the year in 1992. Jim has been, and continues to be, The Gentleman Coach -- a role model of sportsmanship and integrity, on campus, on the track, and in the community. Frank York is a local boy made good! He attended Woodside Elementary and graduated from Woodside High School in 1980. He started as a laborer at WL Butler Construction, working his way up, over 30 years, to President. 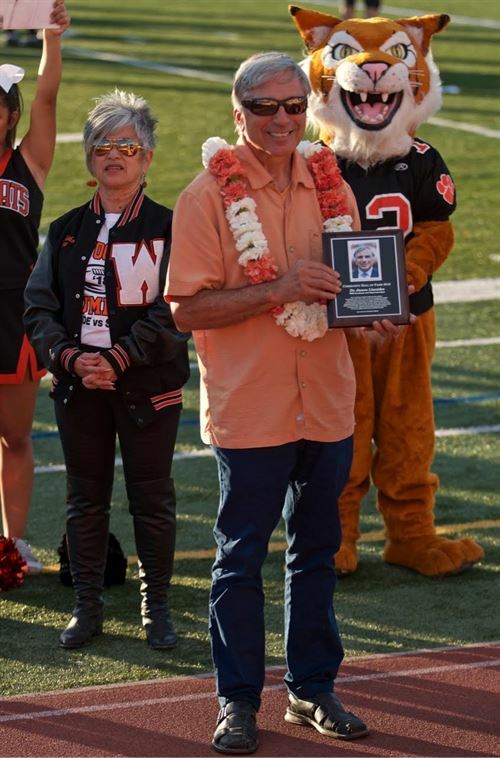 As an active parent of two WHS alumni, Frank volunteered tirelessly and supported generously both the Athletic Booster Organization and The Foundation so that all Wildcats made great memories on campus and had opportunities to be their best. He volunteered and inspired other community members to do the same for Rebuilding Together and as a WHS Academy mentor. That’s what Frank is at his heart and does with his actions – inspires and helps others up. Paul was a teacher and advocate at Woodside High School for students in Special Education and social studies for over 30 years. He built enduring, nurturing and meaningful relationships with students from Woodside, Portola Valley, Redwood City and East Palo Alto. Paul was an outstanding educator who pushed his diverse and multicultural students not only to achieve, but to believe in themselves. He was also an advisor to numerous international and multicultural clubs and was an early, strong and permanent voice for LGBT youth, students of color and those who learn differently. Paul opened their hearts and minds to a world of potential and possibility. He attended U.C. Berkeley and was a Peace Corps Volunteer in Chile in 1965-66. He was a teacher and coach at Woodside for 28 years (1958 -- the opening of the school -- to 1986) as well as athletic director for 20 years. As an original faculty member he helped establish the spirit of academic and athletic excellence that permeates Woodside High School. He served as a role model for thousands of Woodside High School students and as a mentor for many present Sequoia Union High School District teachers and coaches who were members of his classes and teams. He was boys’ varsity basketball coach for Woodside’s first 13 years, winning 3 South Peninsula Athletic League championships; boys frosh-soph basketball coach for seven years, again winning three SPAL / PAL championships; and girls frosh-soph basketball coach for seven years, again winning three SPAL / PAL championships, including two undefeated seasons. He displayed high personal standards of behavior and conduct that were passed on to his students in the classroom and on the playing field alike. He lived by a code of impeccable teaching and coaching standards that included a tireless devotion to duty, a code that provided a model for his colleagues and earned the respect of his peers up and down the San Francisco Peninsula. What is stated in the paragraph immediately above is what probably best exemplifies exactly who Bill Guttormsen was to those who knew him well: he was a principled man and he did not waiver on those principles. It certainly served him well, and it came to serve those who had the honor of being his student or athlete equally well. Those who had the pleasure of his guidance and acquaintance will never forget him. Born and raised in Redwood City, Dani is proud to say she is a product of the Redwood City public school system. She attended Roy Cloud Elementary School, Kennedy Middle School, Woodside High School and Canada College. She received her B.S. from California State Hayward. Not only did Dani go to school in Redwood City, her entire professional career has kept her in Redwood City. After graduating from Cal State Hayward, she began her ten-year career with the YMCA. Dani’s first job with the YMCA was as the Health and Fitness Director for the Sequoia YMCA and then shortly thereafter she became Executive Director of the Sequoia YMCA. Before leaving the YMCA, Dani, along with the Board of Directors, led the Sequoia YMCA into a merger with the YMCA of the Mid-Peninsula. In the midst of being the Executive Director of the YMCA, Dani was elected to the Redwood City Council at just twenty-nine years old and became Mayor of the City two years later. After ten years in the YMCA (where Dani credits meeting the most wonderful people), she took a job with Bay Area Bank in Redwood City as Vice President of Business Development. While with Bay Area Bank, Dani was also Chair of the Redwood City/ San Mateo County Chamber of Commerce. After eight years with Bay Area Bank, Dani left the financial world to jump back into philanthropy to help raise money for Sequoia Hospital where it all started for her forty-three years ago. Today, Dani works for the Sequoia Hospital Foundation and is right at home. In addition to Dani’s day jobs, she loves helping out other non-profit organizations with their Board and Leadership development and one can often find Dani on a weekend day or week day night helping other non-profits develop fundraising plans or helping with their events. Dani has also hosted a community talk show for Peninsula TV (channel 26) called “Community Connections,” now called “One on One,” for the past five years. If you were to ask Dani what she is most proud of, she will say her family and most especially her Mom and Dad. Dani tries to volunteer and give of her time as much as she can and, most importantly, she has Redwood City and the youth of the city in her heart. Renel Brooks Moon attended Woodside High School from 1972-1976. As a student, Renel was involved in drama, cheerleading, and athletics. She went on to graduate from Mills College in 1981, earning a B.A. in English. Today, Renel Brooks Moon is a very popular morning disc jockey for 98.1 KISS-FM. 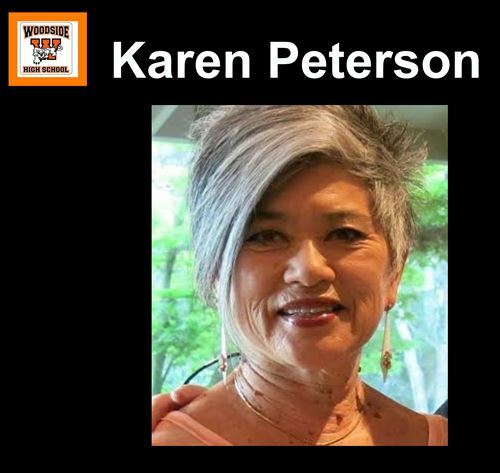 She is also the public address announcer for the San Francisco Giants. Renel was the first female announcer in Major League Baseball as well as one of the first African-American announcers. The Baseball Hall of Fame recognized her as the first female announcer of any professional sport for her role in the 2002 World Series. Renel is a three-time Northern California Emmy nominee for her contributions as an entertainment correspondent on CBS-5 and as a sports correspondent on Fox SportsNet Bay Area (now Comcast SportsNet Bay Area). Renel Brooks Moon is a founder of the “Friends for Faith," a non-profit organization dedicated to breast cancer awareness. She also serves on the board of the San Francisco Giants Communities Fund, which provides services for at-risk youth and socio-economically disadvantaged families. Renel Brooks-Moon embodies the characteristics and values that Woodside High School strives to instill in its students and community members. Her perseverance and hard work serves as a model for success and community responsibility. Jack Mather exemplified, and continues to exemplify, all those attributes, both obvious and intangible, that go into making the Woodside High School community so wonderful and outstanding. He has served Woodside High School and the community as a teacher, department chairperson, school leader, and scholarship provider. And he has done all of these in such a way as to serve as a model for those who followed. 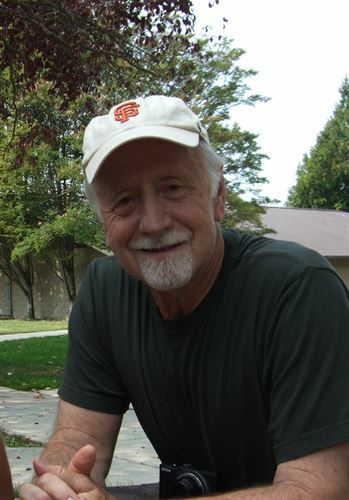 Jack taught at Woodside for nearly 40 years, retired, then several years later came back to teach 2 Econ classes because he was willing and there were precious few others out there who could do it, and none to Jack’s level of excellence. He taught all levels of social studies, from freshmen to AP US History and Government (and I think he even taught some drivers training, for those who remember that far back), and brought to the classroom a pedagogic approach and perspective that enabled all students in his class to reach and exceed their potential. He was a master at drawing out of students not only the correct answer but the thinking that went into coming up with that answer. To many in the Woodside High School community he is one of the best teachers ever to stand in front of a class. But Jack was not just a teacher. He served for nearly two decades as the social studies department chair. During that tenure he recruited many of the current social studies staff, who remember how he tried to mold a cohesive group dedicated to serving all students fairly and equally. Those teachers he hired have tried to continue on with this philosophy. Jack also served on many school committees, including those responsible for constructing the Chemistry Lab and ‘A’ wing. He even went as far as recommending native species of trees and shrubs to be planted around the new buildings. Even in retirement, Jack has found new ways of giving to the Woodside High School community: he established the Mather Foundation to award scholarships to deserving Woodside graduating seniors. It began with a few scholarships totaling a few thousand dollars. Last year the Foundation gave out 12 scholarships worth nearly $15,000. It is this type of commitment to our community that make Jack Mather such a worthy candidate for the Woodside High School Community Hall of Fame. It’s hard to look at Rich Kelley without thinking basketball. Maybe it’s the seven foot frame but Rich is so much more than basketball. He graduated from Woodside High School in 1971 and went on to attend Stanford University. Basketball may have got him the opportunity to play at Stanford but hard work and determination helped him graduate in 1975. He returned to earn a masters degree in business in 1981. Rich has earned a place in the Stanford Hall of Fame along with the title of Legend which placed his name in the Stanford time capsule. He was a 1st round draft pick at number 7 for the New Orleans Jazz and played professional basketball until retiring in 1986. Playing a professional sport for over a decade takes dedication and determination. Over Rich’s 11 year career playing professional basketball he played for New Orleans, New Jersey, Phoenix, Denver, Utah and Sacramento. That takes an extraordinary amount of dedication, dedication to staying in good physical condition, dedication to staying in good mental condition and dedication to maintaining a good positive attitude or spirit. Rich has taken that extraordinary amount of dedication and determination that was required to play professional basketball and turned it into a professional career and a personal commitment to his community. Rich has served on the Woodside Elementary School Board, he has mentored numerous basketball hopefuls both players and coaches, he helped launch the non-profit Positive Coaching Alliance and is an advisor to the non-profit group Sustainable Conservation. Professionally, he has been involved with a number of start-up ventures and is currently working in a company he founded, Search Fund Partners. Still mentoring and inspiring young entrepreneurs to take their dreams and through hard work and determination make them into a viable business. He has played a key role in the success of many varied ventures a few of which are Score Learning Centers, Stanford Terrace Inn, San Jose Giants, Corcept Therapeutics, Coinstar and PLX Technology. You might see basketball when you look at Rich but it doesn’t take too much of a closer look to see an individual who has devoted his lifetime to helping and inspiring others. Rich is a “hall of famer” in the game of life. A 1967 graduate of Woodside High School, Don Bunce left behind an athletic, academic and leadership legacy that few have since approached. Not simply a great athlete (which he most certainly was), he was also an intelligent and diligent scholar, and an acknowledged leader on and off the field. Finally, he continued to grow intellectually and athletically after his Woodside years, and made some significant contributions to the community in his adult years. Quite tragically, he died of a heart attack in 2003 at the young age of 54. While at Woodside Don quarterbacked the football team for two years, leading them to an undefeated season in 1966 (his senior year) and being named the league’s player of the year. He lettered twice in varsity basketball, starting his senior year. And he was a baseball standout, a varsity starter at several positions for three years. These are laudable accomplishments, but for Don it wasn’t just playing, it was more about winning. He pushed himself and his teammates to be better, and he was one of the most intense competitors this school or this area has ever seen. Don was equally talented in the classroom as he was on the football. He worked just as intensely in his classes as he did practicing for an upcoming game. He was rewarded with admittance to Stanford -- something that had more than as much to do with his scholastic achievements as his athletic prowess. I took several classes at Woodside with Don and remember the teachers commenting on his positive contributions to discussions as well as hearing his insightful comments at appropriate times. There are many ways to lead others, Don was one who led by example. He was arguably the hardest working player at every practice in every sport he played, setting a great example for all those around him. He was attentive to all the details in preparing for a game, and was certainly as much a cerebral talent as athletic. He was also an elected class and school officer at various times during his Woodside years. After playing football at Stanford and leading the then Indians to a Rose Bowl win over heavily favored Michigan, Don played for a year in Canada, then went to Medical School at Stanford. 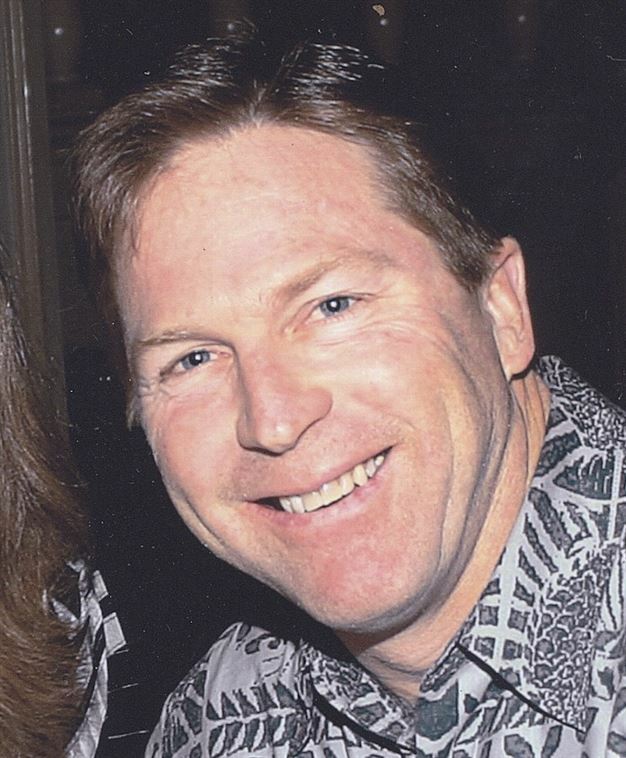 He graduated in 1977 and went on to become one of the foremost orthopedic surgeons in the area, as well as serving as the Stanford team doctor for ten years. 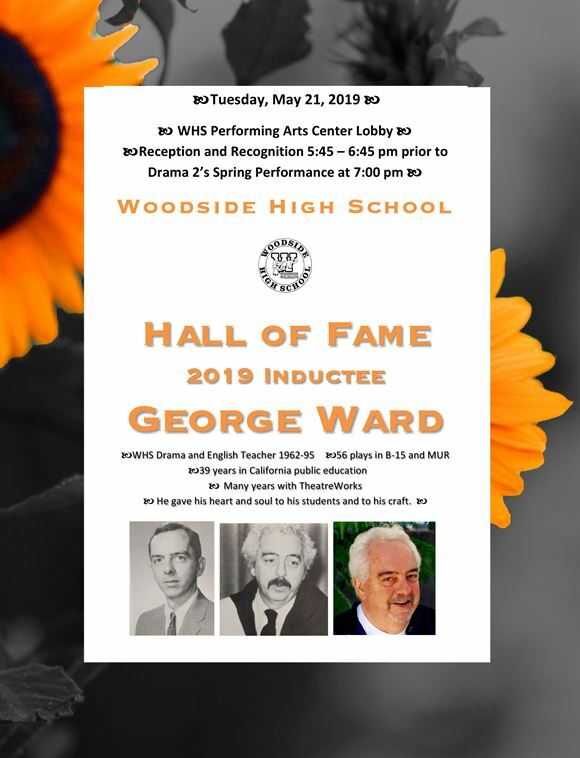 While any of these significant accomplishments should qualify Dr. Bunce for induction into the Woodside Hall of Fame, the totality of them all should make it obvious that he belongs in the Woodside Hall of Fame.